The Deputy President has left for The Hague at the ICC to attend hearings on a no-case-to-answer motion alongside his co-accused journalist Joshua Sang. William Ruto and Sang, who face crimes against humanity charges over the 2007/8 post-poll chaos, will orally argue for the termination of their cases from Tuesday to Friday. Ruto is seeking an acquittal without having to mount a defence – a laborious process that would likely distract his focus on the 2017 presidential contest. The oral arguments are meant to strengthen his 95-page written submissions in which he accuses Prosecutor Fatou Bensouda of seeking to nail him on a “case built almost entirely on hearsay”. He insists Bensouda’s case is based on unreliable witnesses, poor investigations and irrational conclusions. 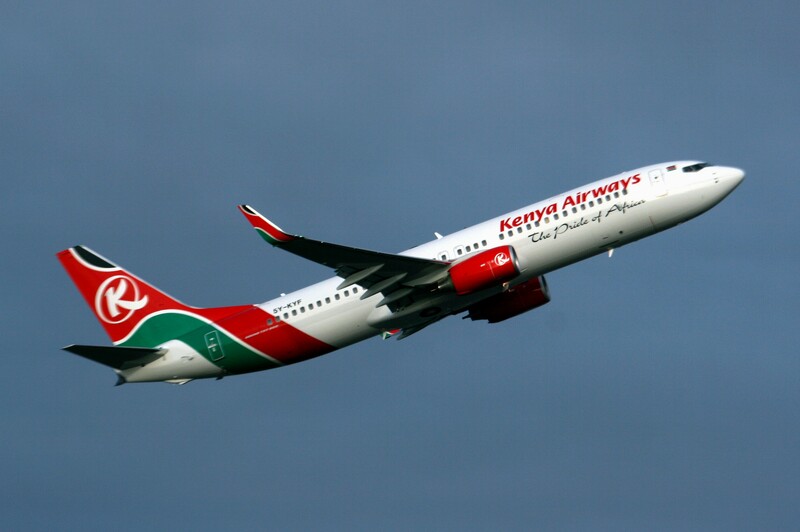 Ruto left on Monday morning aboard Kenya Airways flight KQ116. More than 40 MPs, led by National Assembly Majority leader Aden Duale and the Senate’s Kindiki Kithure saw him off at the JKIA. ALFRED MUTUA is a political dwarf and I can’t compete with him – KALONZO MUSYOKA. 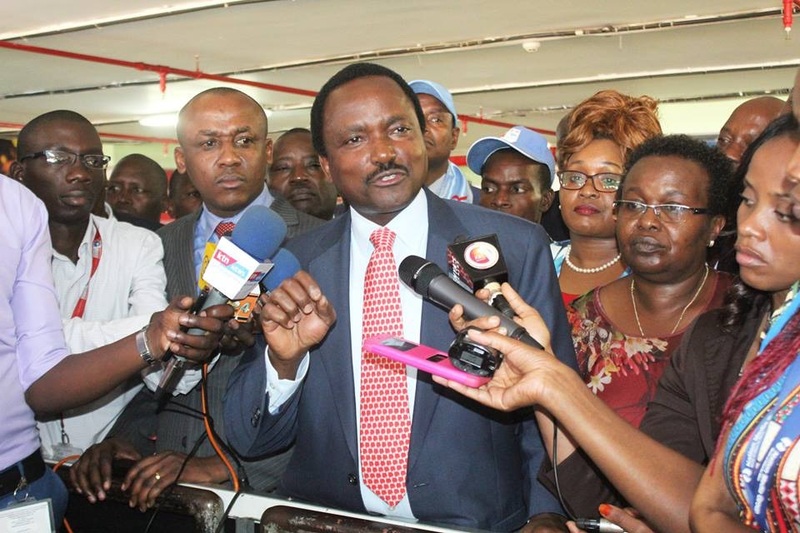 Thursday August 27, 2015 – Former Vice President Kalonzo Musyoka has said he is focused on the Presidency in 2017 and as such, he cannot waste his energy competing with Machakos Governor, Dr Alfred Mutua, over Ukambani leadership. Speaking at Jomo Kenyatta International Airport (JKIA) after his arrival from China, Kalonzo dismissed claims that he is losing grip of his backyard to Mutua, who of late has been seen establishing another centre of power with the support of various MPs from the region. “I have never wanted to be a tribal leader. I am focused on national leadership and not tribal kingship,” Kalonzo said. Last week, Mutua launched Maendeleo Chap Chap Movement aimed at championing faster development in Ukambani. 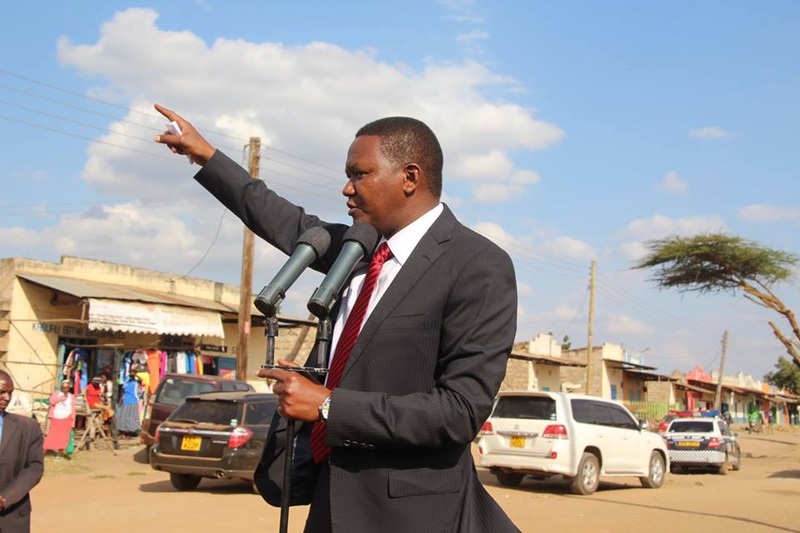 Mutua has accused Kalonzo of mortgaging the Kamba community for his benefit but Kalonzo said Mutua is part of the Jubilee Government’s policy of divide and rule. “It is legitimate for all Kenyans to have the leadership of a former Vice President who did a lot for the country. 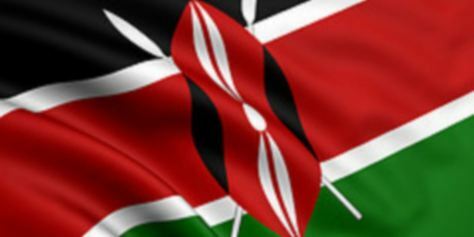 Kenyans deserve a leader sensitive to their plight. Jubilee stole the elections and continues to divide Kenyans,” said Kalonzo. According to kalonzo, Governor Mutua (seen above) is part of the Jubilee Government’s policy of divide and rule. 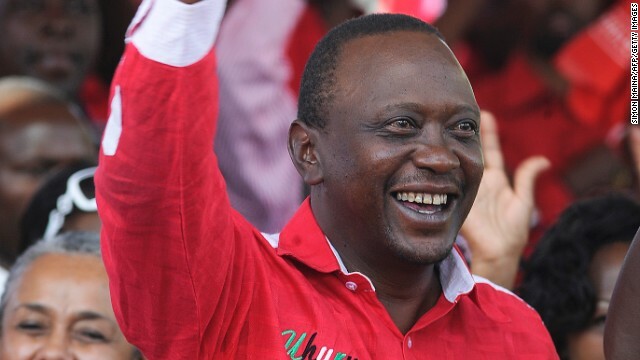 Tuesday May 26, 2015 – United Nations has accused the Government of President Uhuru Kenyatta and his Deputy, William Ruto, of condoning terrorism in the country. 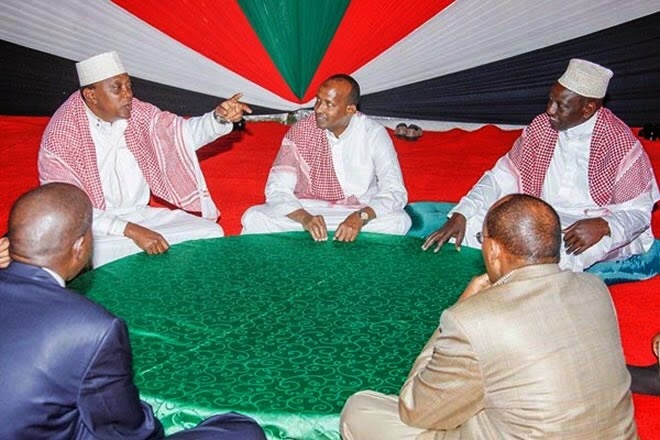 According to the latest UN report tracking activities of the Al Shabaab terror network in the Horn of Africa, Uhuru/ Ruto are dining and dancing with Al Shabaabs right within Government and they know them. In recent years, the UN has named several top Kenyans over links with Al Shabaab terrorists, among them former Mvita MP, Najib Balala, who was rewarded with a Cabinet post by Uhuru/ Ruto as Cabinet Secretary for Mining, and a current serving nominated MP. The two were allegedly funding Al Shabaab activities in Kenya through the controversial Riyadha Mosque in Pumwani. The UN also revealed how Uhuru/ Ruto’s Government blocked its anti-terrorism team from preventing the Westgate attack. According to the report, the Westgate terror attack, which was conceived in Somalia, planned in Dadaab and executed in Eastleigh, was preventable because its anti-terrorism team was already tracking the Al Shabaab terrorists who executed the massacre only to be blocked by the Kenyan Government from finishing the job. And as if that was not enough, the Kenyan Government frustrated and intimidated UN anti-terror experts who exposed the top Al Shabaab sympathisers in the country and their nefarious plot, and eventually denied some of them like investigator Babatunde Taiwo’s re-entry into the country after the Westgate attack. The report also revealed what transpired at the Jomo Kenyatta International Airport (JKIA) last year when a section of the airport was gutted down by a mysterious fire, saying the Al Shabaab planted a bomb at the airport in an attempt to foment fear in the country, something the Government denied vehemently saying the fire was started as a result of an electric fault. In fact, Uhuru/ Ruto’s Government has never admitted that there was a bomb at JKIA.